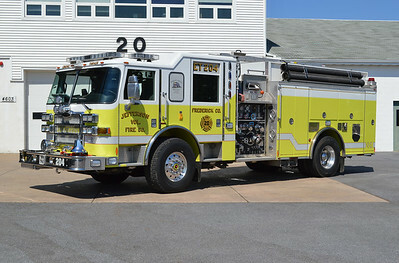 Engine 201 from Jefferson VFD in Frederick County is a 1997 KME Excel with a 1250/1500. 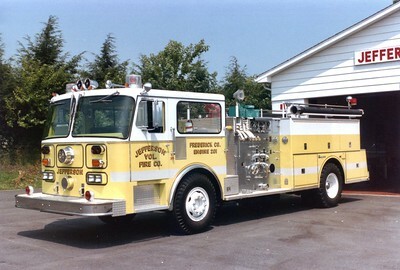 "Old Girl". 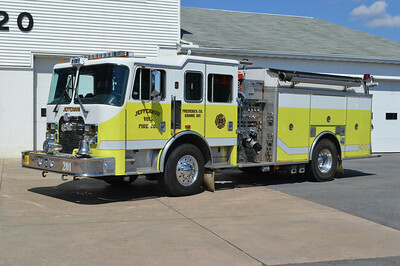 Jefferson's Engine/Tanker 204 - a 2008 Pierce Dash carrying 1500 gallons of water with a 1500 gpm pump. "The Rocket". 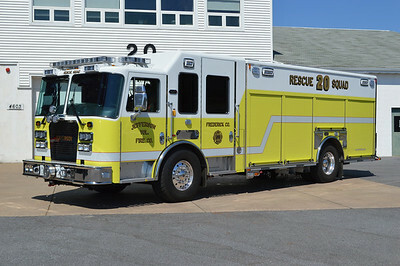 Jefferson, Maryland - Frederick County - Rescue Squad 20 - a 2013 KME Predator. 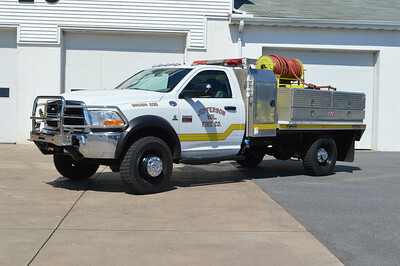 Jefferson, Maryland's Brush 205 is a 2010 Dodge Ram 4500 that was equipped in 2012 by the Jefferson VFD. 300 gallon water tank. "The Hog 2". 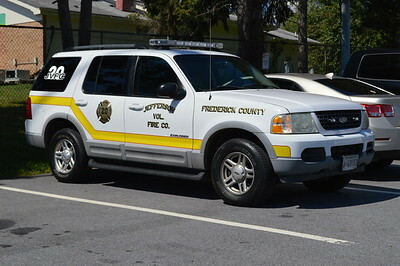 Utility 20 is this 2001 Ford Explorer. 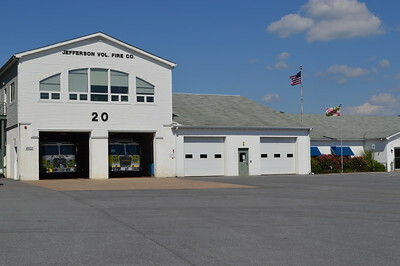 Jefferson's Engine 201 was a 1980 Seagrave HB, 1250/750. 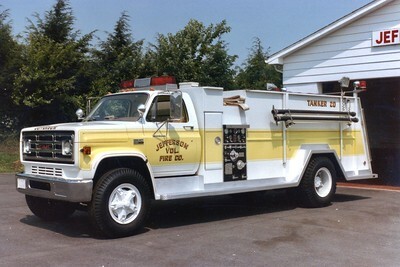 Tanker 20 was a 1978 GMC/3D Metals, 300/1750. 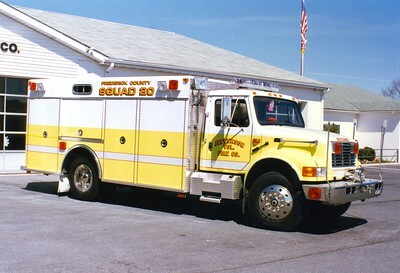 Former Squad 20, a 1994 International 4900/KME.